RANGERS have been promoted to the Scottish Premiership after defeating Dumbarton in a nervy affair at Ibrox Stadium this evening. 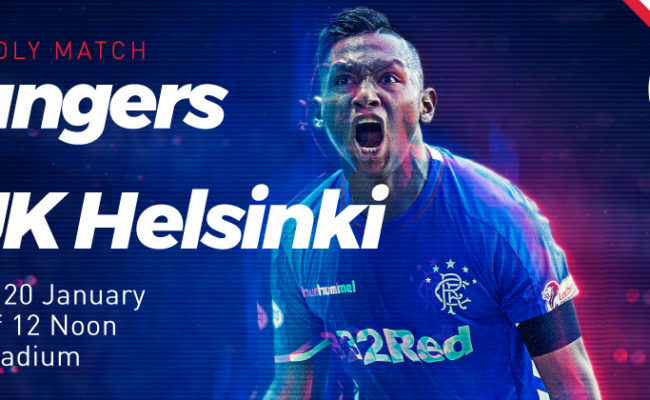 Four years of in the wilderness were ended by James Tavernier’s goal early in the second half to spark a party for the club’s ever-loyal supporters who sold-out Ibrox this evening. 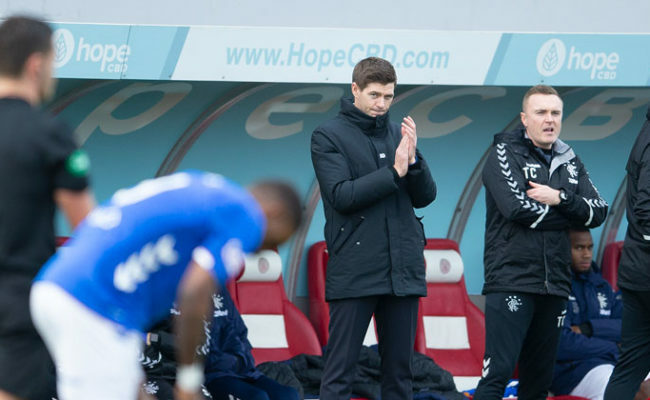 The players emerged to a raucous Ibrox atmosphere, but perhaps nerves overcame them in the early stages as they failed to create anything at all in the opening period of the match. 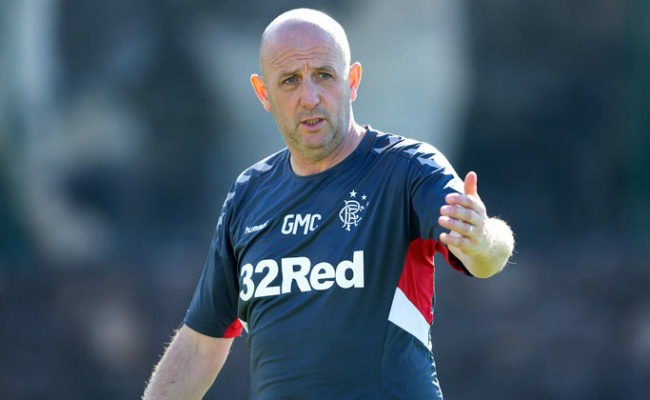 But Mark Warburton’s side are never quiet for long, and soon enough they began to get more possession in and around the Dumbarton penalty area, and with that, the odd half-chance began to percolate into proceedings. Jason Holt managed to work a yard to get a shot on goal away, but goalkeeper Jamie Ewing gathered with ease while Barrie McKay at last got in behind the yellow wall of Dumbarton defenders but his cut-back across the face of goal failed to find an arriving blue jersey. Andy Halliday was on the end of a high, late challenge from Jon Routledge 25-yards from goal, and after receiving lengthy treatment, James Tavernier sent the resultant free-kick straight into the gloves of Ewings. The visitors were proving extremely difficult to break down, but a quick corner routine from Barrie McKay onto Holt and then Harry Forrester eventually setup Kenny Miller on the edge of the area, but his shot could only find the stanchion behind the goal. Another corner soon afterwards ended with a Tavernier shot being deflected over, while the ‘Gers right-back forced Ewings into action again as he tipped away a free-kick taken from out on the left wing. Coming out for the second half, Rangers knew they would have to go through the gears in order to find a breakthrough, and within a minute, Ewings was under pressure after being forced into a save by Forrester with an effort from inside the ‘D’. Billy King was then denied at point blank-range by Ewings before again the goalkeeper was called upon to deny prevent Harry Forrester scoring, turning his shot away for a corner. The crowd were re-energised, and it just felt as if the goal was coming – and sure enough, it did. Jason Holt popped on the right wing and found the run of Tavernier to the penalty spot, and he did the rest, firing beyond the seemingly unbeatable Ewings at long last. The goal sent Ibrox into raptures, and all of a sudden, Rangers’ passing was crisper as they put Dumbarton under all sorts of pressure. The lively King did fantastically well to jive his way into the area for a shot, again blocked by Ewings, before a last-ditch Frazer Wright interception prevented Holt tapping in a Lee Wallace cross. Tavernier was head and shoulders above every other man on the park though, and he came close to his second goal as again, he popped up on the penalty spot to nod a Forrester cross goalwards, but this time Ewings got down to gather his attempt. The introduction of Michael O’Halloran just beyond the hour mark saw him fill the right-wing berth while King moved out to the left, and within seconds of the switch, the on-loan Hearts man sent a rasping drive across the face of goal from an acute angle. 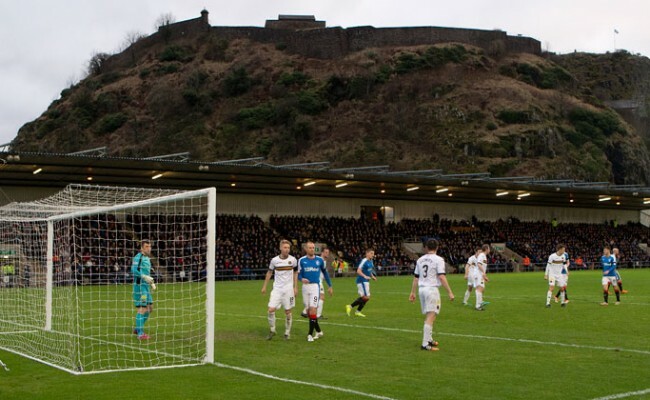 Dumbarton had failed to make any impression in front of goal, but as Rangers have already found to their cost this season, it takes just a second to score a goal, and the Sons almost found the net with Wes Foderingham having to be alert to deny Christian Nade when he fired for goal 30-yards out. 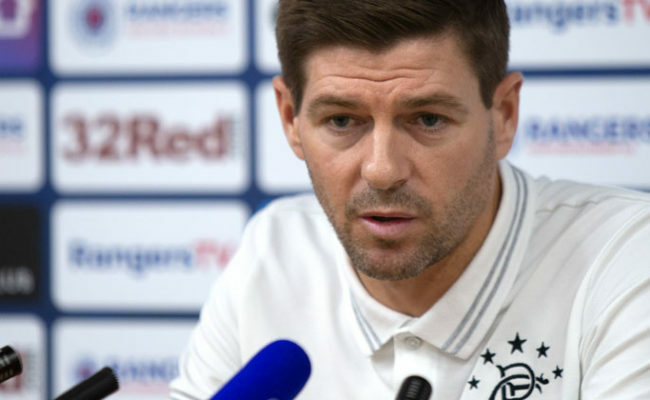 It came as a warning to Rangers, and if anything, it gave them a second wind with Forrester, King and Tavernier again being denied by Ewings in quick succession. Referee Steven McLean’s final whistle brought scenes of great emotion in the stands at Ibrox. After four years in the wilderness, Rangers are back. 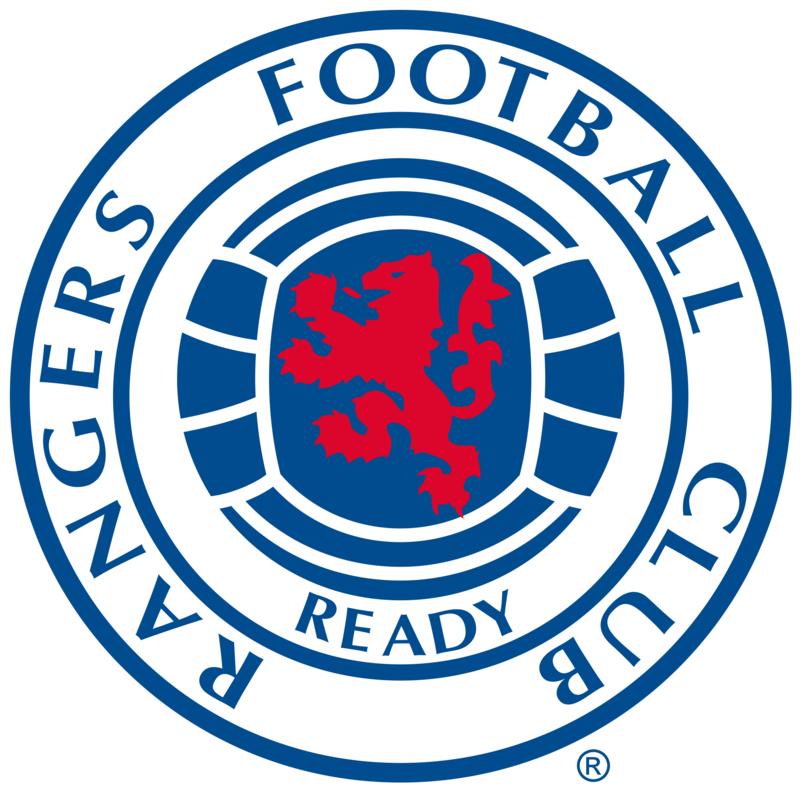 RANGERS: Foderingham; Tavernier, Kiernan, Wilson, Wallace; Halliday, Holt, Forrester (Shiels,78); King, Miller, McKay (O’Halloran, 62). SUBS NOT USED: Bell, Ball, Law, Zelalem, Clark. DUMBARTON: Ewings; Taggart, Docherty, Saunders, Buchanan, Fleming (McCallum, 83), Waters (Cawley,67), Routledge, Lindsay (Gallagher, 60), Wright, Nade. SUBS NOT USED: Brown, Heffernan, Heh.